Ever see those fidget spinners and toys and wonder where you could get one? While in the past these were suggested for children with Autism and ADHD, today, they’ve been shown to be useful for more than just that group. Adults or children with nervous habits like nail biting or feet tapping can find some relief in having a spinner or fidget toy. Those with nervous energy, stress, or anxiety may also benefit. These come in a variety of types with the most well-known being the spinners and cubes. Fidget toys come in a variety of types with the most well-known being the spinners and cubes. 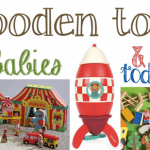 As most of you coming to our site are buying these for your children, we’re restricting this list to fidget toys and spinners that cost under $15. 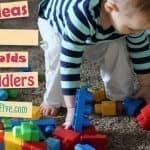 So, if you’re looking for a decent fidget toy for your kids, here are five good options we recommend. 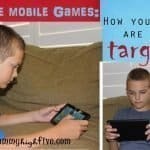 Do your kids feel like they always need to be on their phones or playing with something? Mine certainly do. Perhaps it’s the integration of technology into our society, or perhaps they’ve just got a bit of nervous energy. Whatever it is, a fidget toy might be able to help them pay attention. We’ve been trying this at our house, and have had some good success with it so far. If you’re in the market, here are the fidget toys I’d recommend in the budget range of under $20. Fidget spinners are a collector phenomenon that is gaining momentum every day this year. With spinners costing as little as $2 and custom options well over $200, what is a good beginner option for your children? 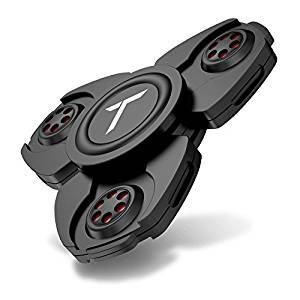 We recommend the Trianium Fidget Spinner. Most of what children are looking for in a spinner is a long spin time. 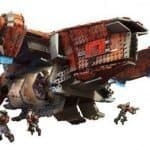 Other than that, the shape and size of the spinner may be something they look into if they get serious about collecting. This fidget toy should give you spins of around 2 minutes and 30 seconds out of the box. Most kids should be fairly impressed with that. Cleaning it with isopropyl alcohol may increase your spin times beyond that. For those that want even better spin times, look for an option with hybrid ceramic and stainless steel bearings. Overall, this isn’t the cheapest fidget spinner, but it’s definitely not the most expensive. If you just want something your child can spin for as cheap as you can get it, it’s possible that you can spend as little as $3 to $5. Otherwise, I recommend you go with something like this. Another good fidget toy is the cube. It’s great for people who feel like they need to be busy all the time. With 6 different sides of buttons, textures, balls, and spins, it gives you a lot of ways to fidget. Officially these allow you to rub, roll, switch, control, press, and spin. 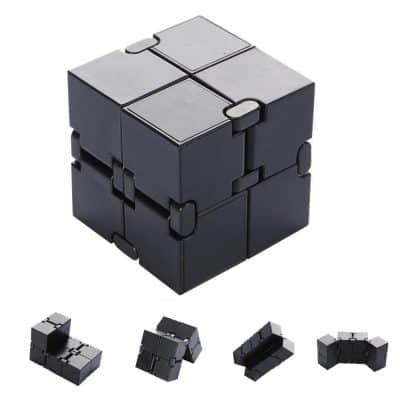 The Infinity Cube Fidget Toy is an inexpensive fidget toy at under $10 but is made of a nice solid plastic. The buttons and textures feel like a better quality than other fidget cubes I’ve used. So, you’re getting something that should last you a pretty long time. We bought these for our kids to use during a church meeting where they typically get bored. After doing so, we changed our minds simply because they were a bit too loud. In a quiet environment, the spinners seem to be less of a distraction. There are quite a few manufacturers that make these fidget cubes, so this definitely isn’t the only one you can buy. However, this one is reasonably inexpensive and still maintains a decent amount of quality. We’ve tried other options that are a bit smudged and don’t have the clickiness or texture to the buttons that this one has. 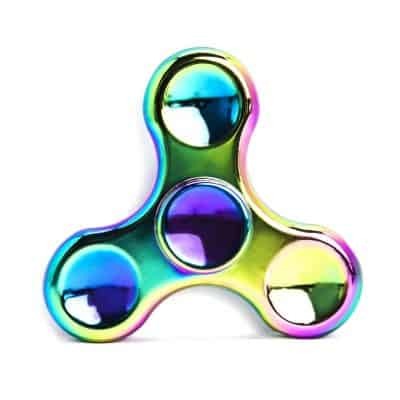 As an alternative to the model above, I thought I’d include the MAGTIMES Rainbow Fidget Spinner, as it’s available in a variety of shapes and colors and has a pretty good quality for under $10. Out of the box, this spinner gives you up to a 5 minute spin time. The center of it has a micro bearing that works very well out of the gate and the pads, as well as the fidget spinner itself, are made of aluminum so it won’t wear out quickly. That being said because it’s aluminum it’s fairly lightweight. So, depending on your preference that could be good or bad. Overall, this is a stable, substantial, long-lasting fidget spinner that costs under $10. It’s well worth it for those of you looking for find something mid-range. This next one is very simple but effective. It’s also less distracting than many of the other options on this list. It’s a simple chain that you flip around. For me personally, this is something I can do with one hand or two that doesn’t require a lot of thought and therefore makes it easier to concentrate. As I write every single day, I often have bouts of nervous energy I simply need to get out. Between this and a spinner, I’m able to do this rather than watch a funny YouTube video or something else that could get me completely sidetracked. It’s fairly small (about the width of two and a half fingers,) and can fit into your pocket without anyone noticing. It’s also completely silent. If you’re looking for something that your kids can take to Sunday School, class, or just about anywhere, this one might be perfect. 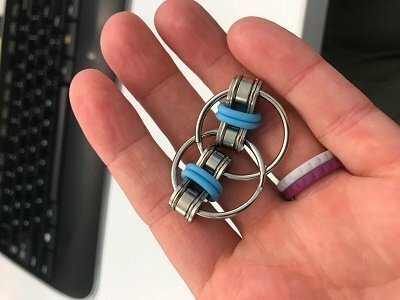 The Tangle Jr. is another quiet and inexpensive fidget toy. It’s great for those who can’t stand to keep still and allows them to express a bit of creativity as well. These can be taken apart and put back together however you want. So, there are quite a few variations you can think of and especially if you mix and match. This particular pack comes with three different color designs, so there are quite a few pieces to start with. For those of you worried about longevity, we’ve had these for years and never had an issue taking them apart and putting them back together. Overall, this is another great fidget that’s under $20 (around $11) that works great for stress, focus, ADHD, or getting rid of bad habits like shaking your leg or nail biting. 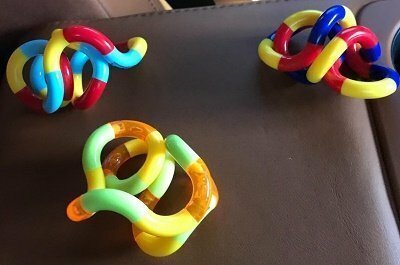 I was hesitant, at first, to let my kids play with fidget toys. They already seem like they have a tablet or something in front of them at all times. One of my sons is either playing sports, playing on his tablet, or watching TV most of the time. The days that we don’t allow technology he’s constantly asking us what he should do and telling us “I’m bored”. Giving him a fidget toy certainly hasn’t helped to solve all of those issues, but they’ve helped a little. Hey, I’ll take it. Parenthood is all about the little successes and taking it a step at a time. For our other kids, this has simply been a fun toy to play with. They don’t play with it all the time and they don’t have ADHD, but some of these have been fairly good at getting them to pay attention during scripture reading and family time. If your Autism, ADHD, or hard to sleep kids do need a restful night sleep try a weighted blanket.